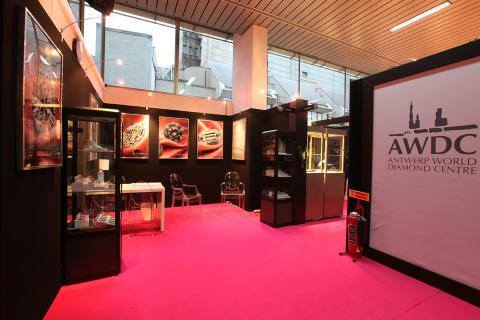 The Antwerp Diamond Bourse and the Diamond Club of Antwerp opened their doors on January 29 as the third edition of the Antwerp Diamond Trade Fair was launched at the trading halls of the historic bourses. Diamond buyers from Europe, the Middle East and Turkey visited the booths of some 70 Antwerp diamond firms where an unprecedented collection of diamonds, gemstones and diamond jewellery were on display. Phillipe Ringer, sales manager of the Antwerp-based DTC sight holder Trau Brothers, said the company was pleased to see a sizable delegation of Middle Eastern buyers at the fair. "Countries like Saudi Arabia and Lebanon have become increasingly important target markets for Antwerp diamond firms. These countries are showing a strong demand for high-end goods, both for large loose diamonds and for unique, high-quality diamond jewellery creations. To cater to these buyers, we are presenting both single stones as well as some extraordinary jewellery items," he said. Khaled Yosef Al-Owaymer, a member of the National Committee for Precious Metals and Precious Stones of the Council of Saudi Chambers, confirmed Ringer’s comments, saying Middle Eastern buyers were eager to gain direct access to the Antwerp diamond market. Making his first trip to Antwerp, Al-Owaymer said he was looking to buy diamonds in the range of half a carat up to five carats and larger. "The variety of goods on offer on a single location is something we have not experienced before. For a jeweller such as me, as well as for my colleagues, this is a great opportunity to create direct ties with dozens of leading diamond manufacturers and traders who are participating in this unique fair." Suzanne Eid, general manager of Collection, a Beirut-based jewellery publication, coordinated the visit of the Saudi and Lebanese buyers’ delegation. She noted that while Antwerp was already a regular destination for many of the buyers, the fair provided an excellent opportunity to increase their sourcing for goods. 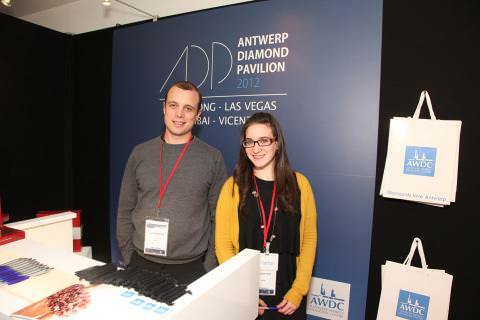 "Gauging the reactions of the delegation’s members, I think the ADTF’s format and platform is a great fit for jewellers who seek access, and often first time access, to Antwerp’s diamond market. I have no doubt that many of them will be back soon," she said. 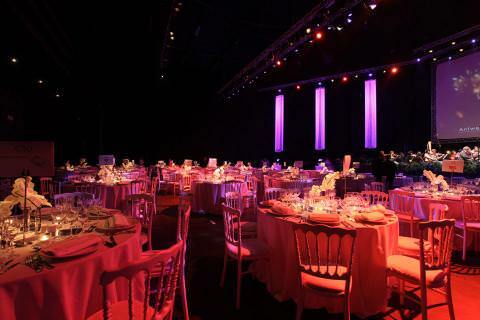 The first day of the fair concluded with a Gala Dinner, sponsored by the Antwerp World Diamond Centre (AWDC). Raphael Rubin, a member of the ADTF’s Organizing Committee, welcomed the buyers who had come from India, Thailand, the Ukraine, the Middle East and Turkey. "This third edition of the fair is the proof that we are up to the challenge of organizing an international trade fair here in Antwerp," he declared. Rubin also revealed that buyers from North America, China and SouthEast Asia would be invited to take part in the 2013 fair. The Gala Dinner’s highlight was a concert by award-winning soprano Ana Camelia Stefanescu, accompanied by the Nuovi Musiche orchestra, conducted by Maestro Eric Lederhandler. Stefanescu and the orchestra performed works by Donizetti, Verdi and Leonard Bernstein.